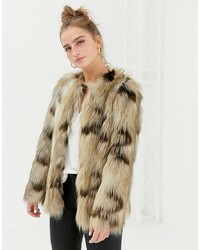 New Look Fluffy Faux Fur Coat £49 Free UK Shipping! New Look Teddy Aviator Coat £29 Free UK Shipping! New Look Chevron Faux Fur Coat £54 Free UK Shipping! New Look Tonal Faux Fur Collarless Coat Pattern £49 Free UK Shipping! New Look Colour Block Faux Fur Coat Pattern £49 Free UK Shipping! 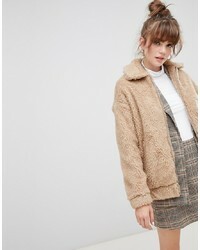 New Look Teddy Faux Fur Bomber Jacket £29 Free UK Shipping! New Look Teddy Faux Fur Bomber Jacket In Burgundy £29 Free UK Shipping! New Look Faux Fur Jacket In Brown Pattern Pattern £59 Free UK Shipping! New Look Teddy Faux Fur Bomber Jacket In Black £29 Free UK Shipping!